Police stationed outside Caesars Casino in Atlantic City on Sept. 3, 2016. An Atlantic City police officer was shot and seriously injured early Saturday morning. One suspect was shot and killed while two other suspects are still being sought. UPDATE: Two men have been arrested in connection with a shooting that left one Atlantic City cop seriously injured and one man dead Saturday morning, according to the Atlantic County Prosecutor's Office. The unidentified officer left his patrol car to investigate what was later revealed to be an armed robbery when he was shot and injured. A second officer then fired at the suspect who died. Prosecutors identified him as Jerome Damon, 25 of Camden. Five that were sought as persons of interest have been located and identified. The police also found that three of the men were victims of the armed robbery that was committed by Damon along with two others. Martell Chisholm, 29 of Millville and Demetrius Cross, 28 of Bridgeton, have been charged with two counts of attempted murder, three counts of robbery two counts of conspiracy to commit robbery, two counts of possession of a weapon for an unlawful purpose and two counts of conspiracy to commit possession of a firearm for an unlawful purpose. An Atlantic City cop underwent surgery after being shot and seriously injured early Saturday morning near Caesars Casino, according to police. The shooting occurred when officers tried to stop individuals involved in "criminal activity," police said. One suspect was shot and killed. Five additional suspects are being sought. Police said the 2:30 a.m. incident is currently being investigated by the Atlantic County Prosecutor's Office. The medical status of the officer is currently unknown. 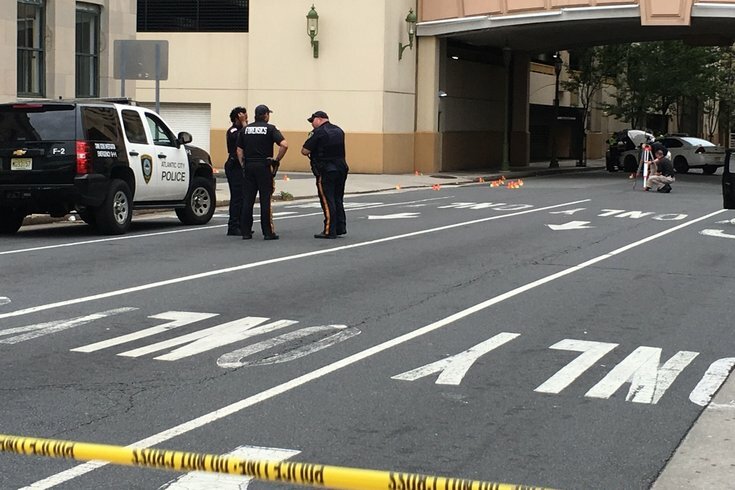 Atlantic City Police Chief Henry White said in an early morning news conference the shooting happened when officers stopped a car with three men inside near a parking garage for the casino. At least one of the men opened fire, striking one unidentified officer, White said. "It's a sad commentary on society," Atlantic City Mayor Don Guardian said. "These are good examples of what happens when too many of these assault weapons are in the wrong hands." The New Jersey Policemen's Benevolent Association is offering a $20,000 reward for information about the suspects involved in the shooting. President Colligan - Please pray for our Atlantic City officer this morning who was shot and critically wounded overnight. 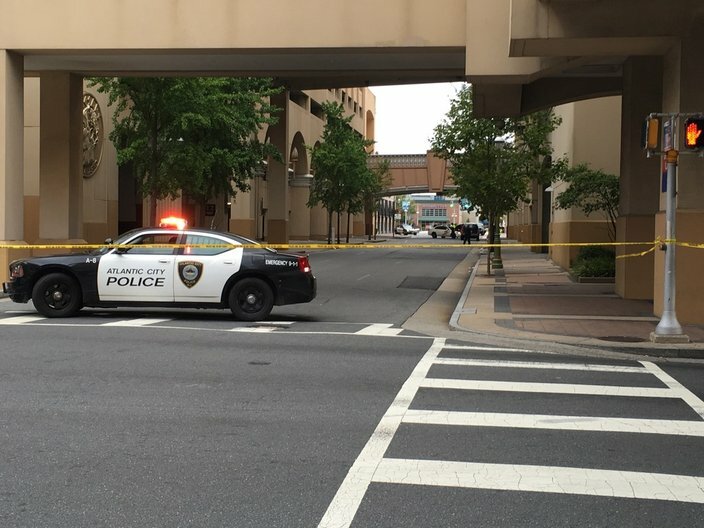 The police officer was shot just a day after a murder and attempted suicide at the Zumiez store in the Tanger Walk outlet store area. The suspect in that case was taken into custody. The manager of the Zumiez store was killed. And just days ago there was a shootout on the Atlantic City Expressway in nearby Egg Harbor Township which left one dead and four in custody. Anyone with information on Saturday's incident is asked to call police at 609-347-5766, the NJPBA at 1-800-658-8477, or Crime Stoppers at 609-652-1234. Information may also be texted anonymously to tip411 (827411) beginning with ACPD. This story is developing. Check back for updates. The Associated Press contributed to this report.